- Have a look at the new articles prepared within ReCreew (the first three). Dr.-Ing. 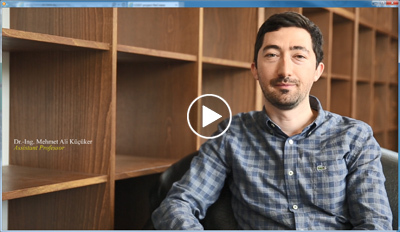 Mehmet Ali Küçüker tells us his inspiring story how the COST Action ReCreew promoted his personal scientific career due to networking with other experts and scientists. Watch the video from here. The final meeting of ReCreew project is organized between the 4th and 5th of February at the Politecnico di Torino in Turin, Italy. On the first day the meeting will focus on the outcomes from all six Working Groups and Young Researches group as well as a viewpoint from a SME. On the second day, a visit to a WEEE treatment plant is organized. - Have a look at the new articles prepared within ReCreew. - The final seminar of ReCeew project will be held between the 4th and 5th of February in Turin, Italy. International Conference on Cascade Use and Circular Economy ICCCE 2018 hosted by the Carl von Ossietzky University Oldenburg by the Cascade Use research group will be organized on 24th and 25th of September in Oldenburg Germany. More information here. The European Commission has updated the Critical Raw Materials list. Have a look at the new list here. The program for the 4th Management Committee and Working Group meeting of ReCreew on 30th of August, 2017 in Rhodes Greece, at the Rodos Palace International Convention Center, where the 15th International Conference on Environmental Science and Technology (CEST) will be held from the 31st of August to the 2nd of September, has been announced. During the Conference, a session on “Electric and electronic waste” has been scheduled on Saturday, the 2nd of September. More detailed description of the presentations and the program of the meeting can be downloaded here. 4th Management Committee and Working Group meeting of ReCreew will be held on 30th of August, 2017 in Rhodes, Greece. The event is organized in collaboration with 15th International Conference on Environmental Science and Technology (CEST 2017) which take place between 31st of August and 2nd September, 2017. Next Management Committee and Working Group meeting will be held on 21st of September in Novi Sad, Serbia.